The holidays are in full effect which means it is time to decorate not only the inside of the home but the outside as well. 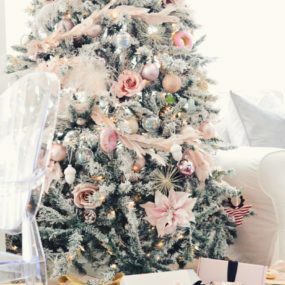 Christmas happens to be one of the best holidays to decorate your home because of all the options you have. You have numerous different options that work for the inside of your home as well as for the outside of your home. 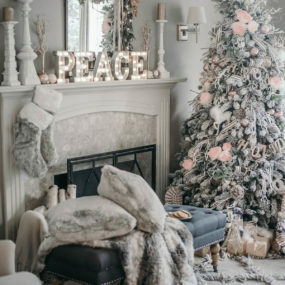 Country chic décor is great for Christmas time because it adds the coziness of country décor with a chic twist. 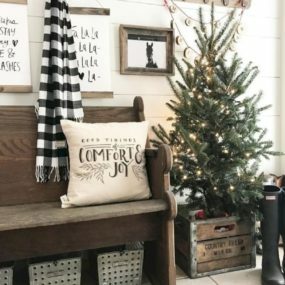 Here are a few country Christmas ideas for the outside of your home that we know you will love. Adding a festive twist to your rocking chairs can be done easily and quickly all you need are a few items that scream holiday season and you are good to go. Incorporate an accent table to bring the entire decor together. Keep a sign or small trinkets on the accent table to reinforce the holiday cheer. Rocking chairs on the porch have always been an all-time fall favorite. 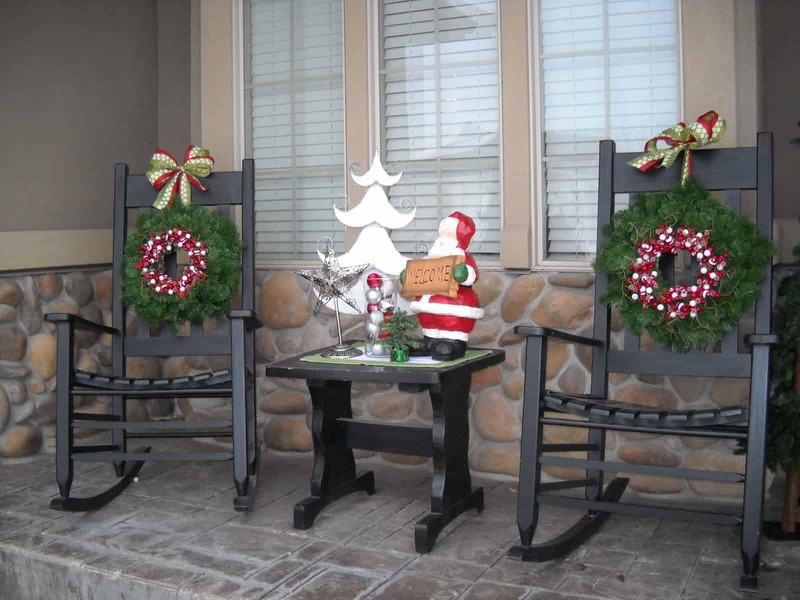 However, for the Christmas time, you may want to upgrade your rocking chairs and give them a festive twist. This can be done by painting your chairs, white, red, or green. Painting them one of these colors the chairs the classic festive feel. Add a cozy throw blanket on the chairs and pair it with outdoor cushions for a cozy and comfortable effect. You may even want to consider having an accent table that allows you to lay down your hot cocoa. 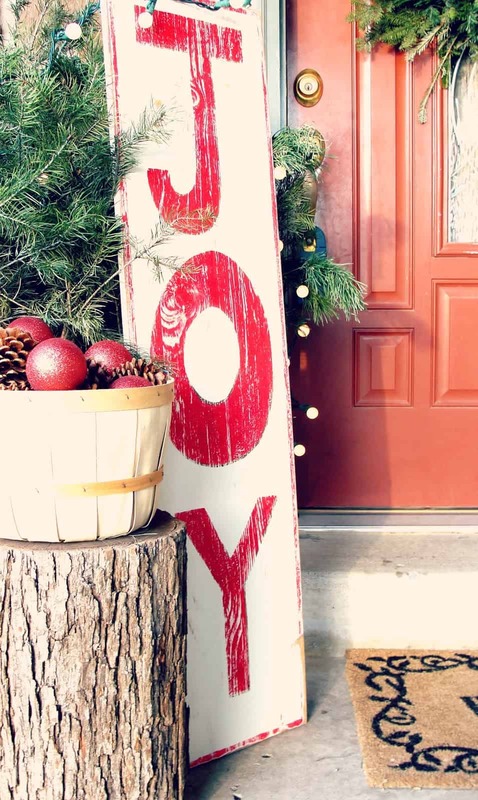 Having a large sign of Joy is simple, rustic, classic, and festive all at once. 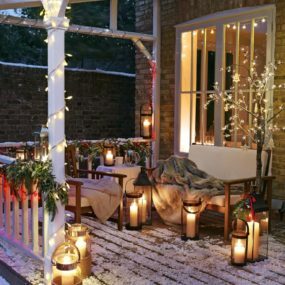 It is a simple way of adding holiday cheer to your outdoor space without having to include multiple different items. You can even incorporate the sign into the current decor you already have. Christmas time is a time for joy why not display it on your outdoors by having a large sign that spells joy. This can be a DIY project for you or you can purchase a sign that says JOY and decorate it to your liking. Add a wreath in the middle for an extra touch of holiday cheer. It is also an excellent way of secretly hanging a wreath that will stay in place. Having multiple different lights can be applied to the front of your home but also to your backyard as well. 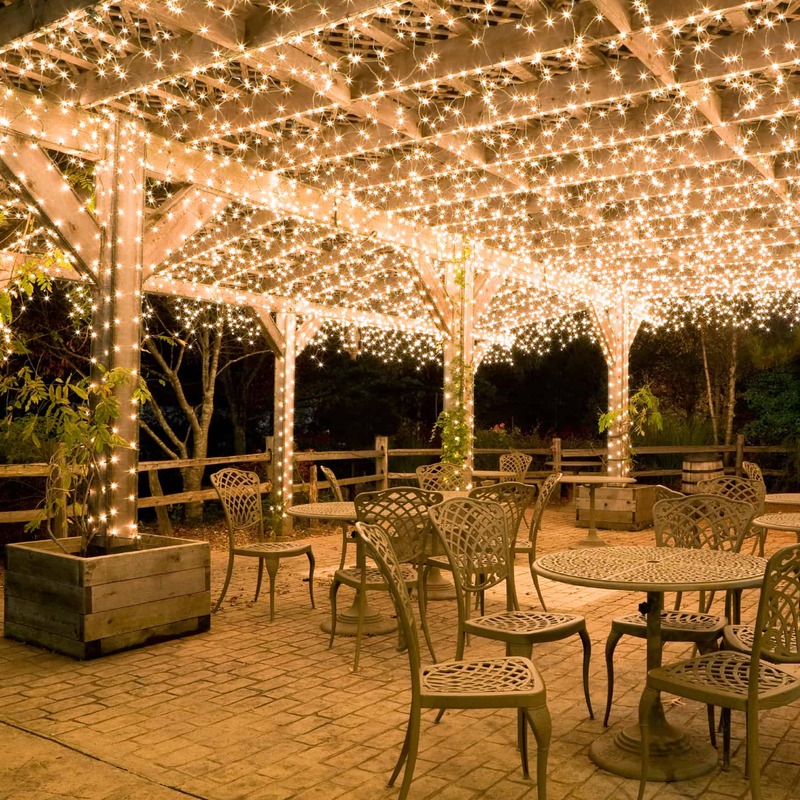 Add a magical feel to your backyard by filling it with white lights. White lights are great because they illuminate the space and add beauty all at once. Use Christmas color lights for a holiday twist. Lights! Christmas would not be the holiday of cheer without lights. 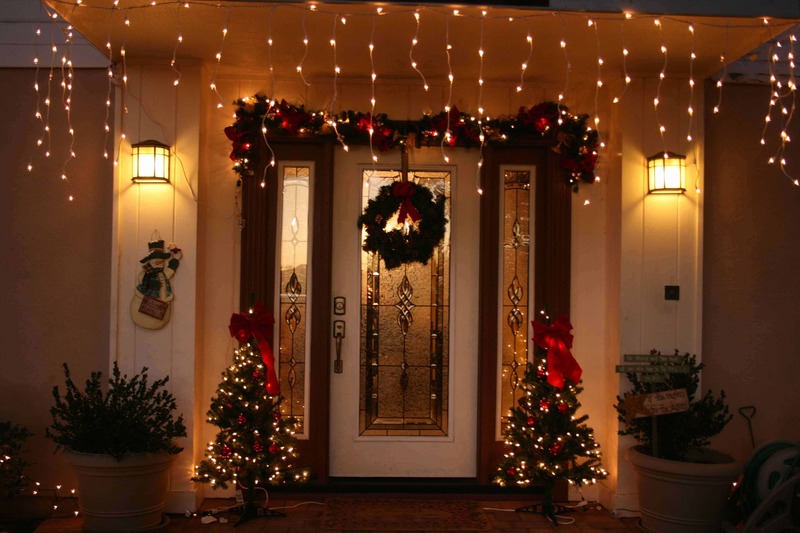 Add multiple different lighting fixtures hanging from the outside of your home for a beautiful light show display. 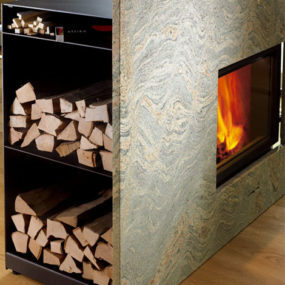 Having multiple different sizes for an even better effect that will increase the beauty of your home. 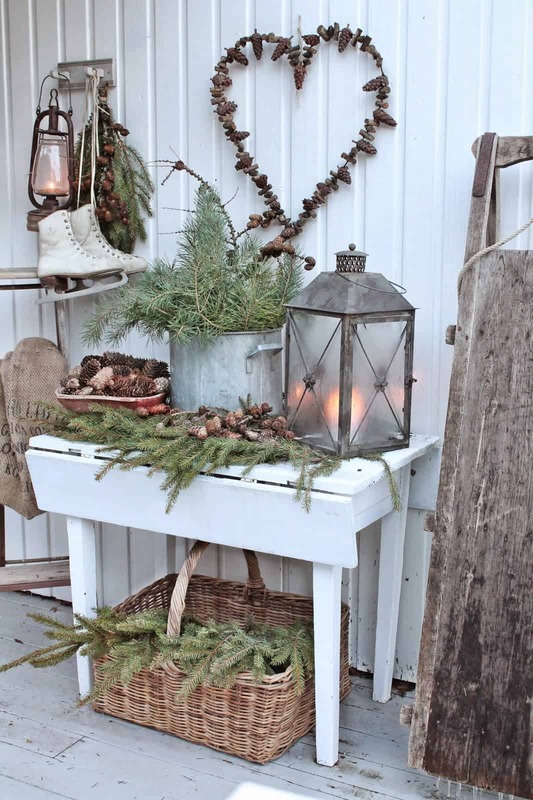 Winter decor consists of using greenery mixed in with shades of white and/or blue. 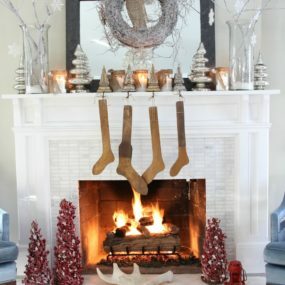 The idea is to keep the decor as simple as possible while still providing the feel of the holidays in a minimal manner. Well lit Christmas trees work great because of the bold statement they make. 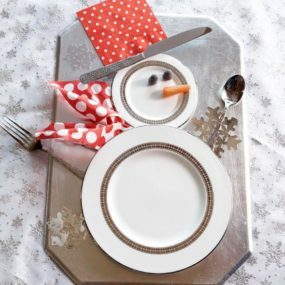 Keep things simple by having winter décor that is soft and simple. Use colors such as white, blue, and lots of greenery. Using these colors will give you the winter enchantment that you want. Make sure to top off the décor with outdoor lanterns. This will provide the cozy winter wonderland vibes you seek in a simple and classic manner. Christmas galore is a top favorite for many of us. There is something beautiful about having a display that offers numerous different colors and gives you all of the Christmas feels. Have mini Christmas trees displayed to combine your outdoor decor with your indoor decor. 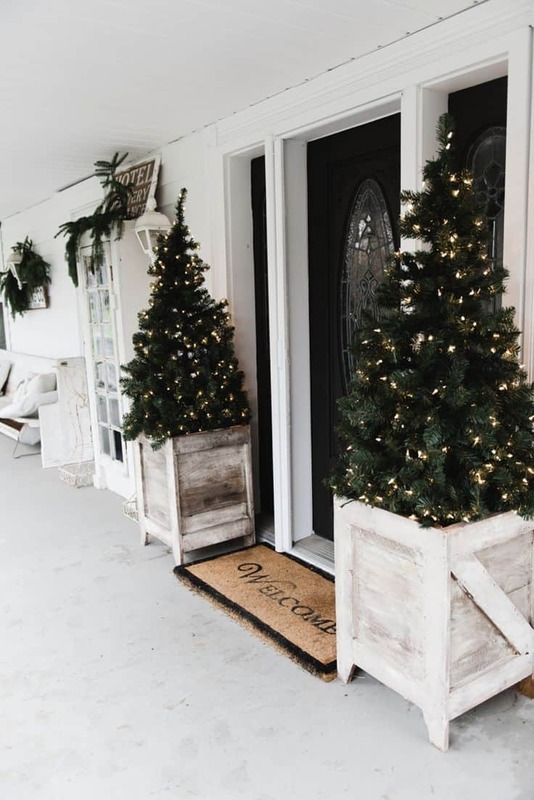 Go all out for the Christmas joy by decorating your porch with Christmas essentials such as garland, bright Christmas lights, outdoor lanterns, wreaths with patterns, and let’s not forget a Christmas tree. Add a chalkboard with a welcoming sign to bring happiness to everyone who passes by your home. The idea is to bring Christmas joy directly to your porch for everyone to enjoy. If you do not want to leave all the items outside to make hot cocoa you can always prepare the hot cocoa and leave it on display for your guests. This is an excellent way of giving your guests a treat they can remember you by from the moment they step foot in the front of your home. 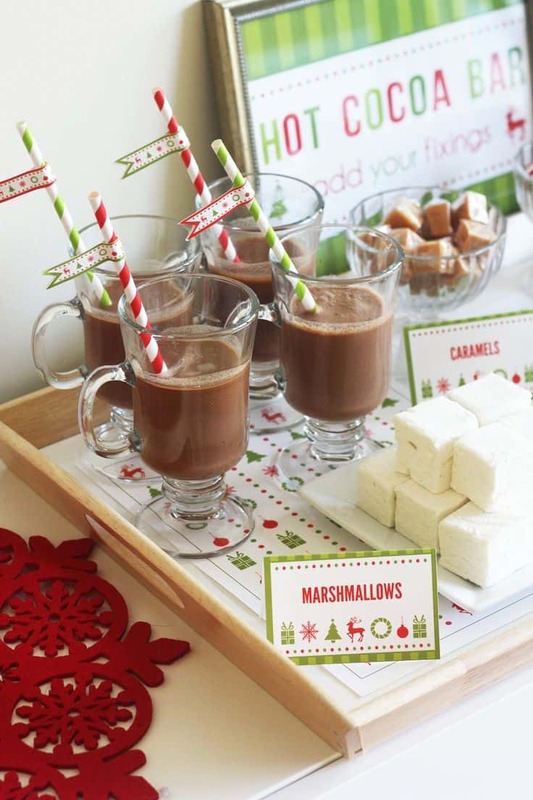 Although, hot cocoa is a staple in the winter and holiday time having a hot cocoa bar displayed in your outdoor space is a treat your guests will not want to miss. Display items such as Christmas themed cups, marshmallows, sugar, and cocoa powder. You want to make sure that all the items that are placed outside are in an airtight container so that they remain fresh the entire time. For a more rustic feel pinecones are great. The reason being they look natural and feel that way too. 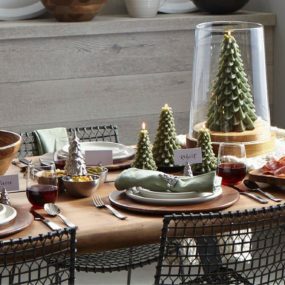 Keep your pinecones displayed on a table for an organic feel that is decorative and beautiful all at the same time. Pair your pinecones with different shades of green for the ultimate contrast. Pinecones are great for decorating in cold weather. They are easy to find and even easier to use because they can be painted. This allows you to construct multiple different DIY décor using pinecones. Incorporate them into wreaths, outdoor Christmas trees, and you can even hang them from your door. 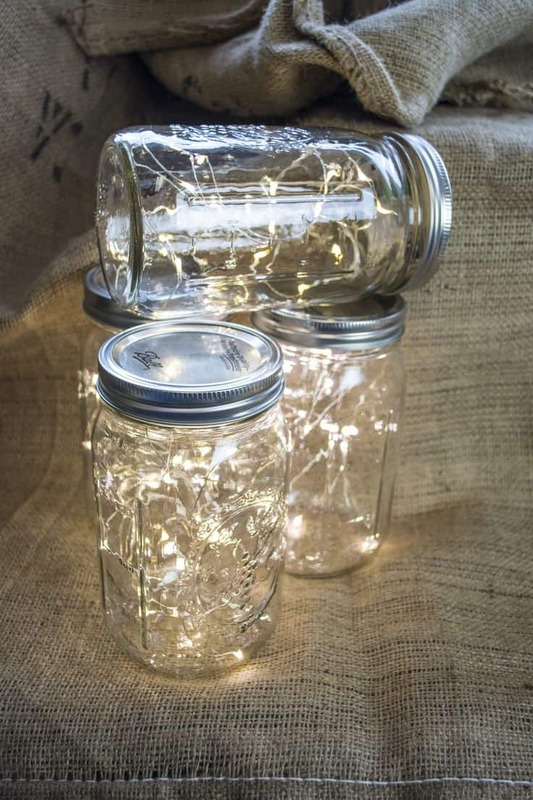 Not only are mini lights inside of mason jar a cute idea but they work in multiple different areas. You can have them inside of the house, outside, and/or both. Consider having white lights for a brighter visual. Meanwhile, colorful lights will give you the holiday feel you seek. Mason jars are great because of how versatile they are. You can use them as drinking cups, centerpieces, and even as a holiday decoration for the outside of your home. Take a couple of mason jars and fill them up with colorful lights, then hang them around the outside of your home. 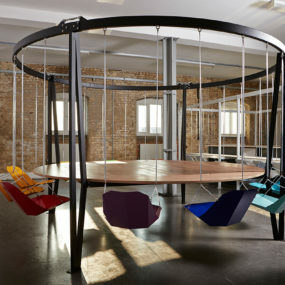 You can choose to cluster them together or have a few of them hanging from different areas of the exterior of the home. The beauty of having poinsettias is the color that they provide. Poinsettias are a bold red color which makes them appealing and fun to look at. They are also the Christmas flower which makes them work great even in very cold weather. Pair it with bold green shades for a holiday feel thats undeniable.Create a royal outdoors feel by using bold holiday colors with natural items. The idea is to make a holiday statement with plants such as the poinsettia. Poinsettias are known as the “Christmas plant” therefore, having blossomed poinsettias will work beautifully outdoors. Hang a few of them on the entryway or have them as garland on your door. You can also the entire plant displayed on the outside of your home. 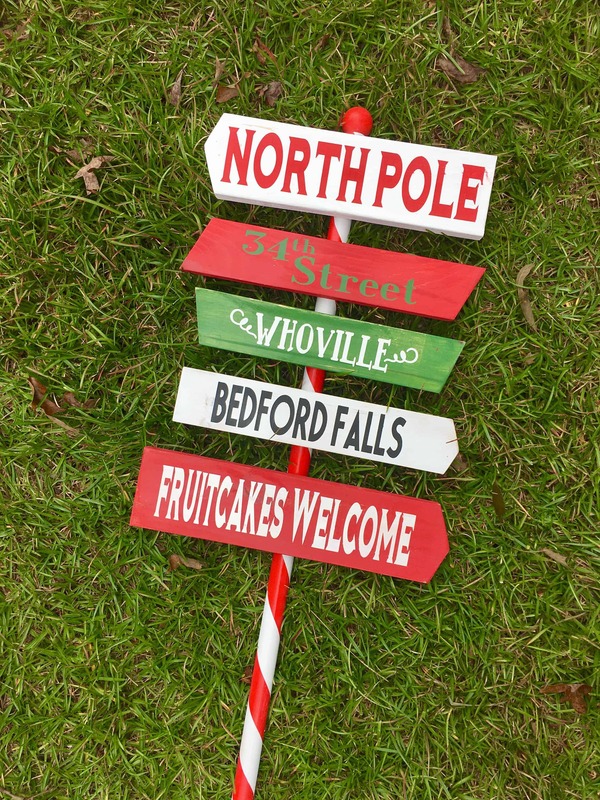 Give your guests some direction as to where they can expect to be going with a Christmas sign. Christmas signs are great especially if you have children as it gives them a little extra sense of joy when they see these signs laid out for them to enjoy. Christmas signs are not only as cute as they sound they are also an excellent form of decorating the outside of your home in a country chic manner. You can choose to DIY the sign if you would like to create something more personal to you and your family. Place a few Christmas destination signs and let everyone know exactly where Santa Clause will be visiting next. 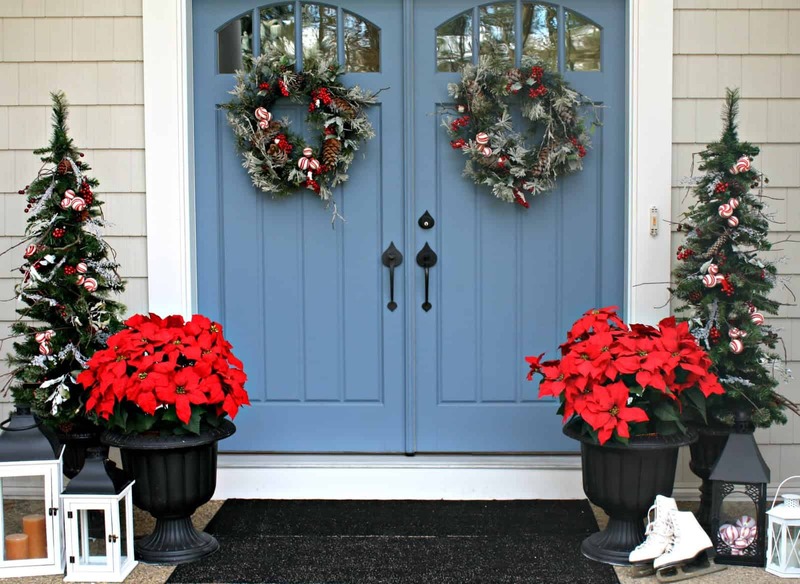 With all the holidays quickly approaching it is never too early to begin decorating the exterior of your home. Let us know below which of these country chic ideas you will include into your outdoor décor? Also, make sure to let us in on any other outdoor ideas you may have.